Thanks, “John H.” for the great photos. 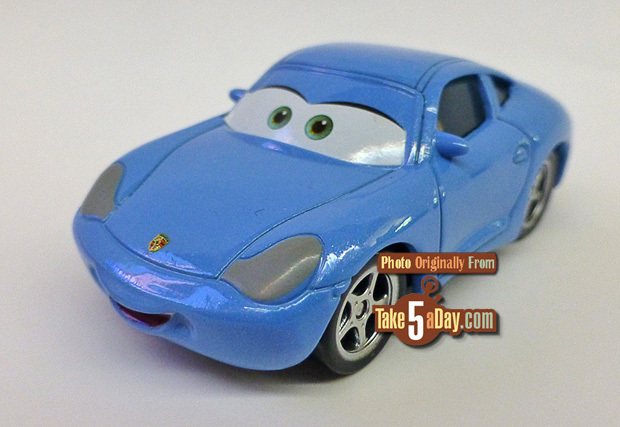 There’s a surprise new TRU Radiator Springs Cleanup 5-Pack. 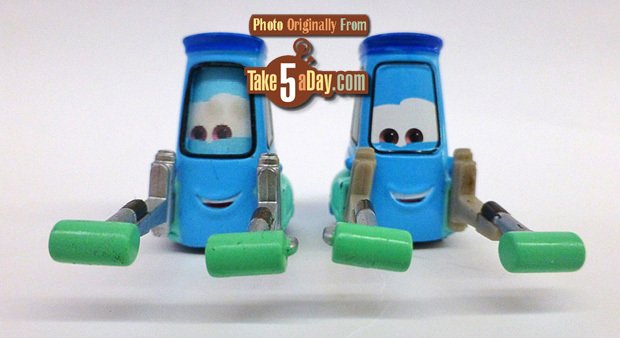 With the big nice surprise, the very hard to find lenticular classic-eye replacement Luigi with Bucket and Guido with Paint Rollers! 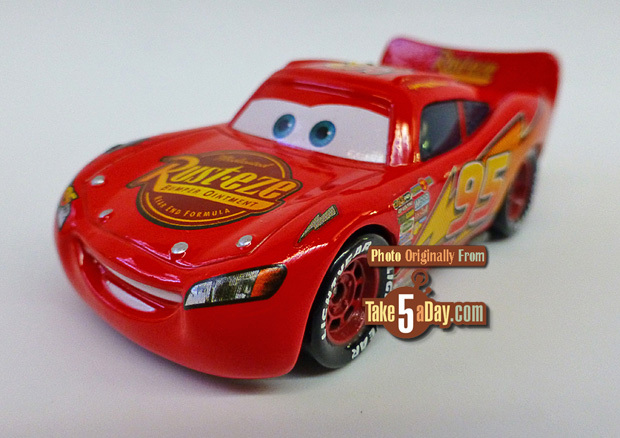 Tar Lightning McQueen is pretty much the same as last year’s re-release with the flat windshield. Sally also has the new flat windshield. 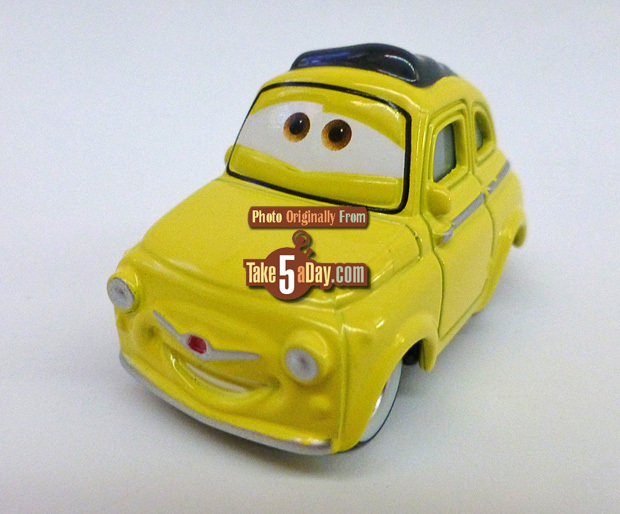 Luigi is also the “new” Luigi with the black windshield band. 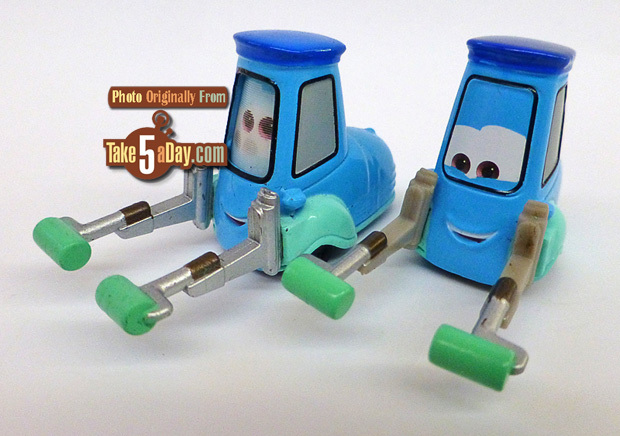 Guido is a revised (besides the eyes obviously) Guido with paint Rollers different from the lenticular version. Not huge differences but different. 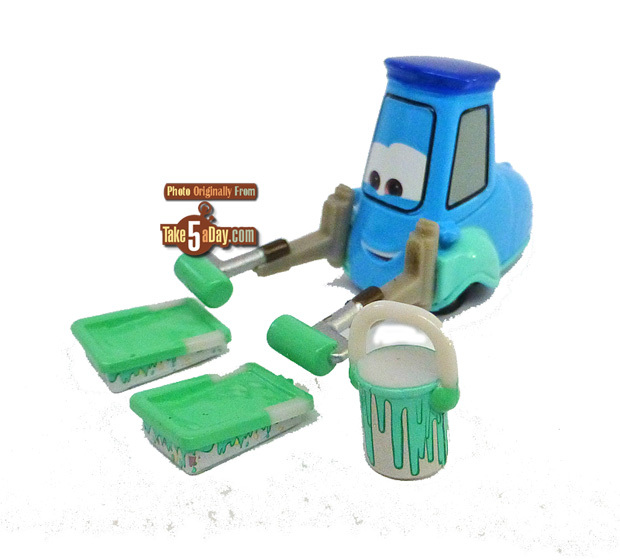 The lenticular CHASE of Luigi with Paint Bucket & Guido with Rollers & Tray was very hard to find – and it was always $25-$50 for the single so for $22.99, Collect ’em all. 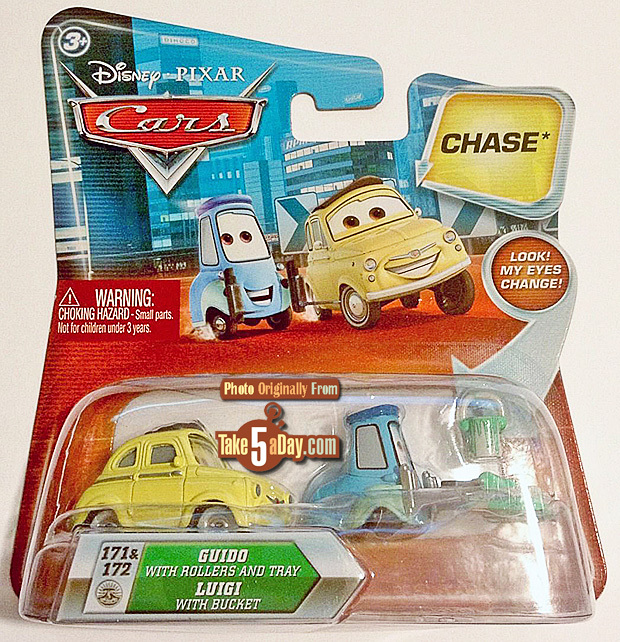 This seems to be the first CHASE replaced? 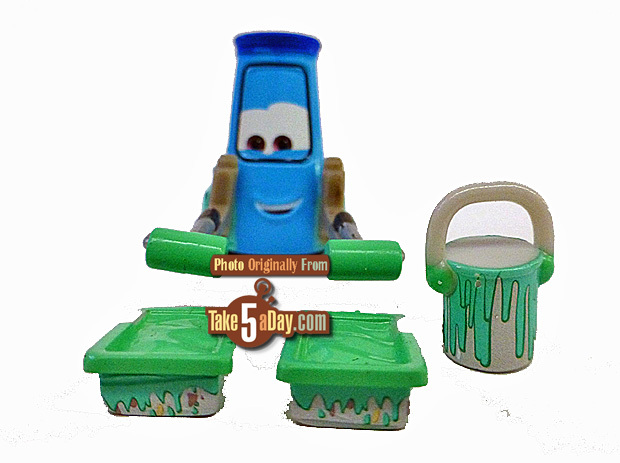 Technically, it’s not a re-release as it’s not a single, not a lenticular and the Paint Bucket has been assigned to Guido … AND now called Guido with Paint Supplies, NOTHING like that other one – who the other one? Lawyers working overtime? 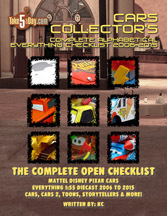 Does this mean other lenticular CHASES’ will be re-released as classic fixed eyes? 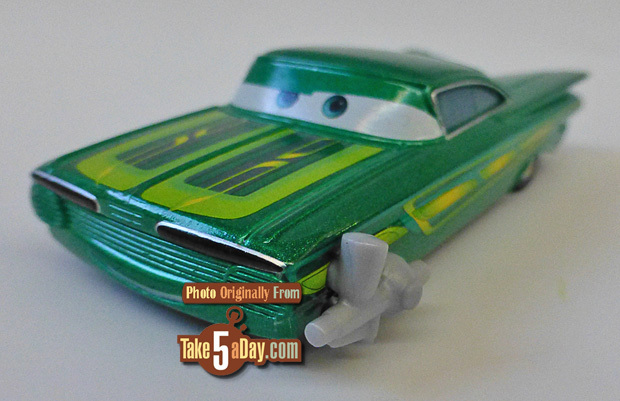 As this is under the Radiator Springs Classic banner so, presumably a TRU exclusive but it doesn’t say so on the box.